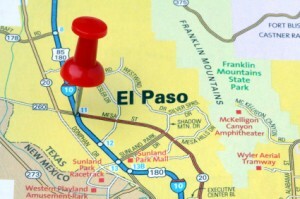 So many immigrants crossed into South Texas illegally recently that Border Patrol flew many of them across the state for processing in El Paso Wednesday, the Associated Press reports. More than 100 detainees were flown from Brownsville in an effort to speed up processing following an average of 1,000 arrests a day in the Rio Grande Valley sector. Immigrants were facing long wait times and often were forced to take hour-long bus rides to the Laredo and Del Rio for processing, the AP wrote. Whether the flights become routine is unclear. The goal of Border Patrol is to process immigrants and get the out of holding areas within 72 hours, Tirado said. Posted: 5/8/14 at 12:24 PM under News Story.